This summer I’m super excited and lucky to have all sorts of opportunities to draw with kids and adults! Super amazing event of free comics, sketches, costumes and fun! Encourages and celebrates unconventional styles and creative concepts. The festival provides a unique place for makers to share their work, and for attendees and artists to connect with like-minded members in the community. This year I’ve decided to take some time and enjoy everything HeroesCon has to offer. I’ll be walking around and hanging with my pals but if you stop me and say “Rock My Bot Off” I’ll pull out a card and pen and draw a robot for you right there on the convention floor. Learn basics techniques used to create cartoon characters for your own comics. We will design characters, draw facial expressions, review cartooning symbols and more! You’ll soon able to use these concepts in your own stories. Create a simple comic book all by yourself! Learn the secrets of sequential storytelling as J Chris Campbell guides you through the process of creating an 8-page mini-comic. Start small and learn techniques to make your own comics. Learn to draw and decorate rockets. Cartoon robot facial expressions, parts and pieces. Learn basics techniques used to create cartoon characters for your own comics. 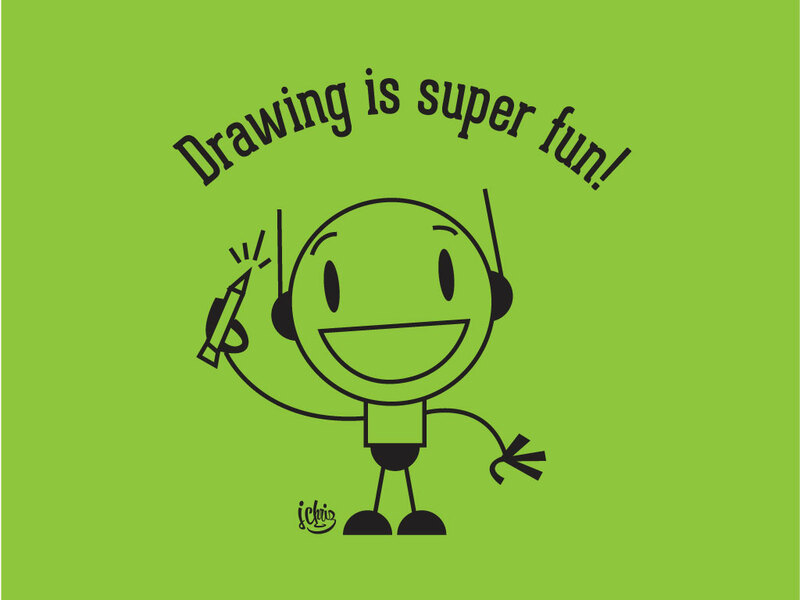 We will design characters, draw facial expressions, review cartooning symbols and more! You’ll soon be able to use these concepts in your own stories. 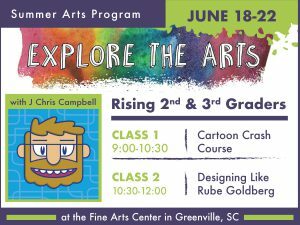 I’ll be a part of this camp at our wonderful Children’s Museum.Explore the magic behind comics and learn what makes superhero characters extraordinary, plus work with a local comic artist and create unique comic characters – from an initial sketch to the final design.